The Elections Department declared the by-election was won by Workers Party (WP). Two parties, the ruling PAP and the WP, fought for the vacated seat. 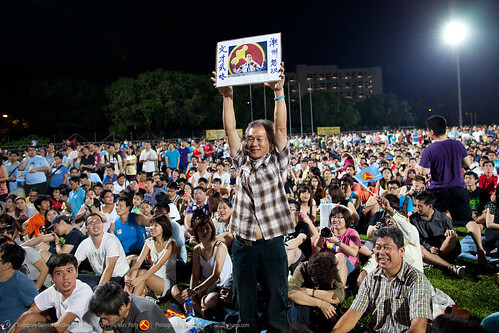 The hopeful candidates held rallies from 16 May 2012 till 24 May 2012. Four Political Donation Certificates have been issued for the May 26 by-election in Hougang constituency. The Elections Department had issued certificates were issued to Mr Desmond Choo ( People’s Action Party, PAP, candidate), Mr Png Eng Huat (Workers’ Party, WP, candidate), Dr Poh Lee Guan (another Workers’ Party, WP, candidate) and Mr Zeng Guoyuan (Acupuncturist, ex-WP till 1991, contest as an independent candidate). Zeng’s intention to contest in the Hougang by-election was ridiculed by most, who predict he will lose his deposit. Mr. Zeng, a self proclaimed PAP supporter, is in only to spoil the opposition votes. On Nomination day, only PAP’s Desmond Choo and WP’s Png Eng Huat was approved for the 26 May 2012 Hougang by-election. Acupuncturist Mr Zeng Guoyuan was disqualified from standing as candidate and Dr Poh Lee Guan failed to file his papers on time.